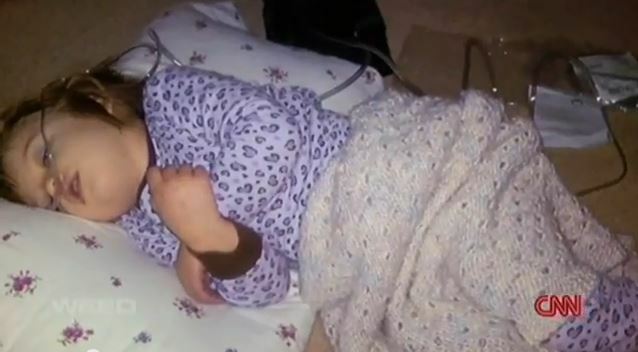 "Charlotte Figi" has "Dravet Syndrome", a rare and severe form of epilepsy that causes severe seizures that can and does cause death in far too many cases. Charlotte straight lined several times & CPR brought her back. Charlotte had her 1st seizure when she was 3 months old. Over the next few months, Charlotte, affectionately called Charlie, had frequent seizures lasting 2 to 4 hours, and she was hospitalized repeatedly. She was to take some of the most heavy duty prescription medications some of which are mostly made for adults only and in one case, made only for pet dogs. One of them almost KILLED her. Then came WEED! See and hear what happened next, to a poor five year old child by clicking on the CNN URL link below or by reading more, below the URL, before clicking. We need to know the dosage of this oil. Our girl is 1.5 years old. She has seazures. Please help us.